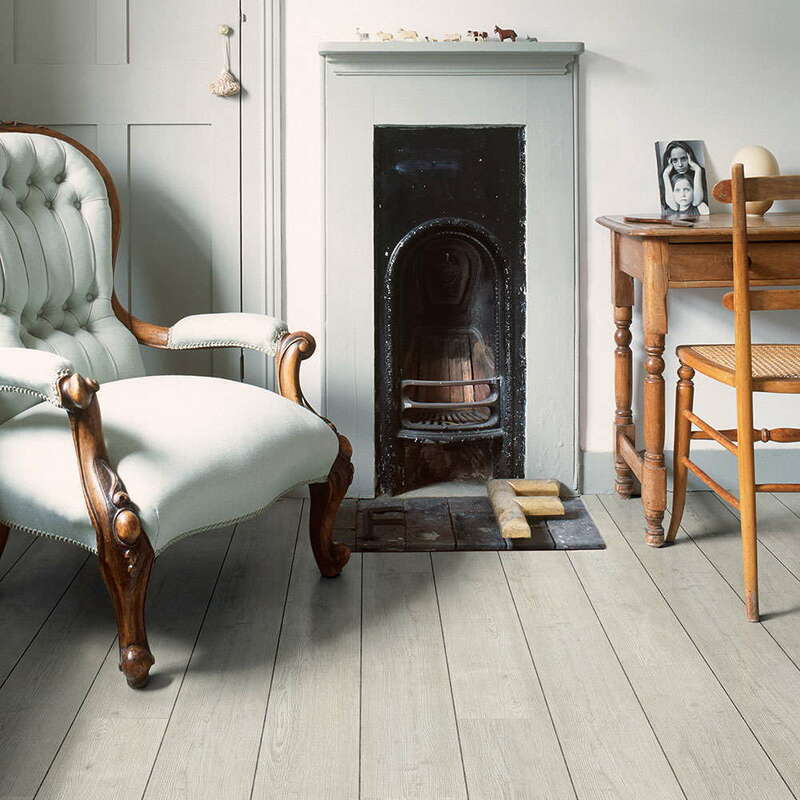 Polyflor Colonia Nordic White Oak 4436 Vinyl Flooring fuses the characteristics of Scandinavian timber and bleached or painted floorboards with the performance of a hardwearing and practical floorcovering. The current demands for white and grey woods are perfectly matched by this large format plank, which features authentically detailed graining and an embossed surface texture. In the second image the floor is Installed in a block wood pattern. The third image is a Naval plank or ships decking effect, inlaid with Graphite Grouting Strip. Amazing customer service, I requested a sample which I received within two days. When I placed the order I was contacted to discuss delivery, which arrived exactly as promised. 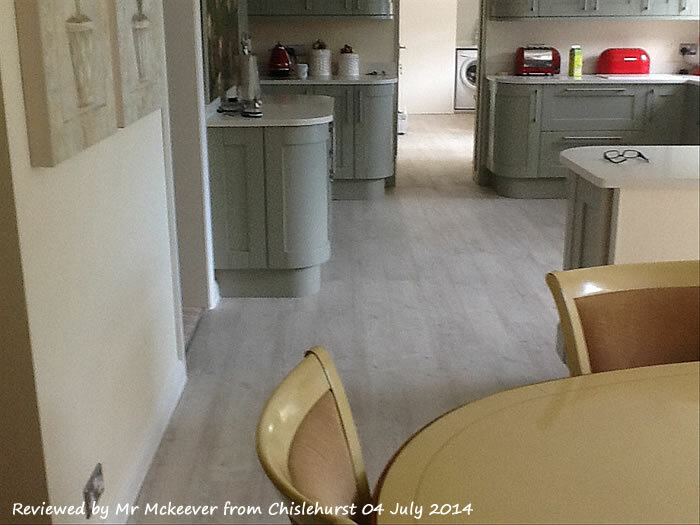 The flooring itself exceeds my expectations - I am absolutely delighted. I will be using Flooring Supplies again. Looks very good. Went down easily. Very pleased as it was quite cheap. Is the Nordic White Oak available as Parquet? Hi Stephen, absolutely, but it will need to be individually cut to size, which is £12msq and can take up to 10 weeks to create. If you're after this, just give us a call and we'll arrange it for you. 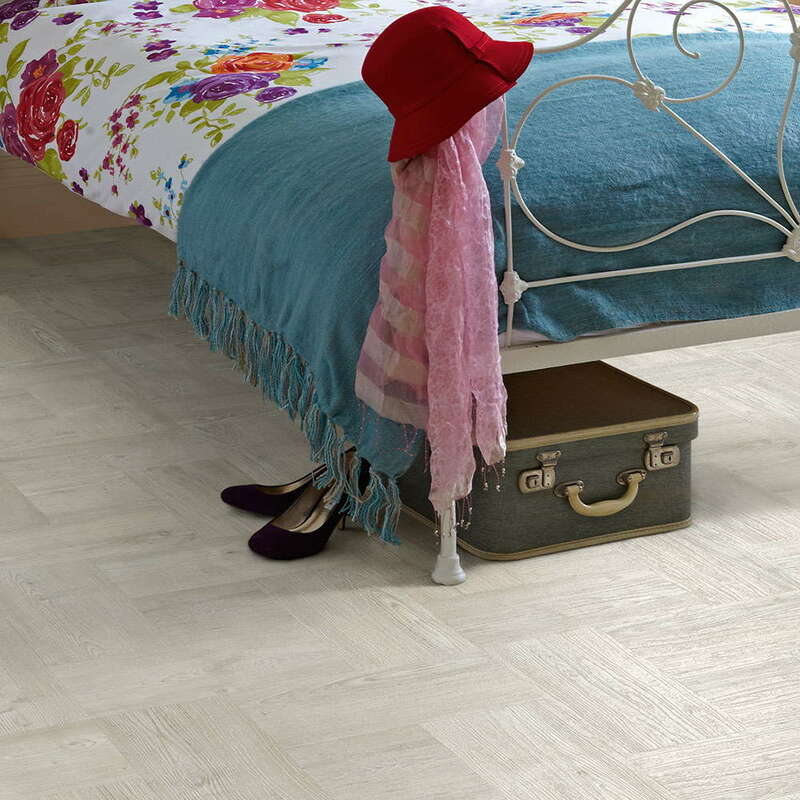 Can the Polyflor Colonia Nordic White Oak be laid in a herringbone pattern? Hi Angele, Yes, that would be no problem. Just call us up to make your request and Polyflor will cut to size for an extra charge. can this be used over underfloor heating? Can it be used in a commercial space? Hi Pascaline, Whilst this floor is fine to be used with underfloor heating, it doesn't offer a commercial warranty. In picture three there is a gap between each plank laid. How have you achieved this look? And what material is it in between each plank? What adhesive do you recommend with colonia white oak? Our house is by the sea and we want to create a nautical feel to the bathroom - can the flooring be wall hung and used in place of ceramic tiles around the bath/shower please? Hi Trevor, We've not seen this done before, but providing you use an Epoxy adhesive to secure the tiles, there's no reason why it wouldn't work. We'd love to see the results once it's finished! Hi, with the Polyflor colonia vinyl flooring range do I have to put down a latex screed beforehand? Thanks! Morning Samantha. It depends on the condition of the subfloor really. The rules are you need a dry, flat and even subfloor. So if you have a concrete floor which is a little rough or with peaks and troughs then yes you'll need to screed it first. Hope this helps. In short yes both stand up to this type of wear and tear but there are different qualities (and prices) from both manufacturers. So be careful when you're comparing products and make sure that you're looking at like for like, if that makes sense. Is this flooring suitable for bathrooms? 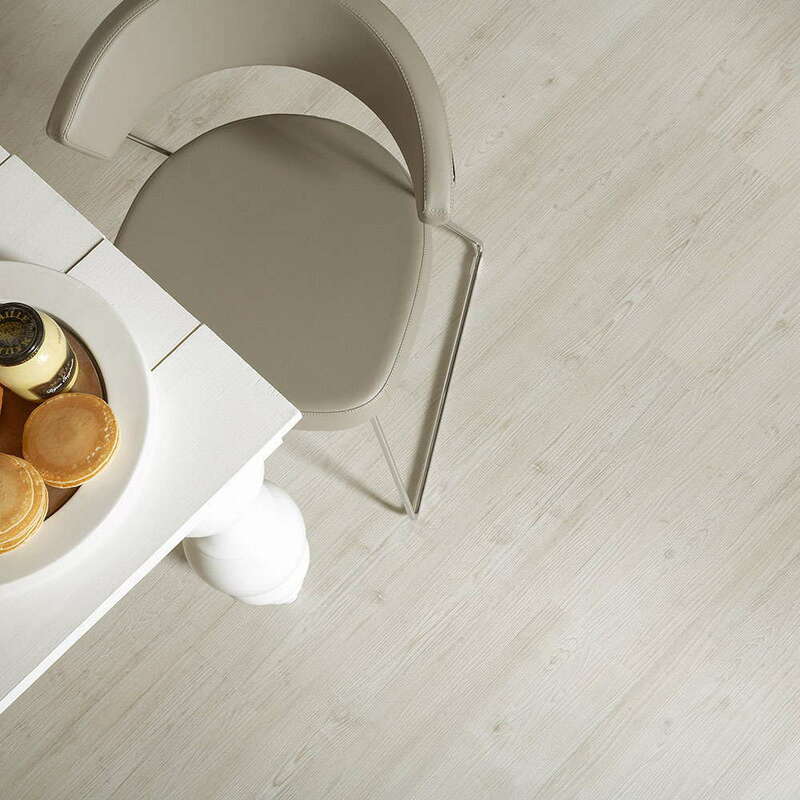 Vinyls floors are the ideal solution to bathroom floors so the Polyflor Colonia Nordic White is perfect. Is this flooring material capable of coping with mishaps involving water spillages? 100% as this product is 100% water proof.